During yesterday stream, World of Tanks Design Director Andrey Biletskiy was present and responded to quite a few questions. I’ve made a digest with all the most relevant information shared so you can stay up to date! Wargaming is planning to bring back almost all old maps, but don’t expect to see legacy ones and problematic ones back, for example, Komarin, etc. Andrey estimated that takes about 19 months of working man-hours to create a single map, that includes prototypes. Making brand new maps, like Minsk and Studzianki takes considerably less time, old makes take a much longer time because of object placement. With the release of Update 1.0, Wargaming has been constantly working on fixing the “disappearing shots”. These tend to occur when they were transferring millions of solid/rigid objects into HD maps. The issue happens when the rigid object is hit in an unexpected/odd angle, making the shell disappear or hit something invisible. There isn’t an estimated time when all these problems will be fixed, but according to Andrey, the team have further looks based on players feedback. There are plans to continue reworking the game UI, for example, the Tech Tree one. This is planned to happen before new nations are added to the game. There aren’t any plans to introduce new SPG branches, this is mainly because players hate them, Wargaming doesn’t want to add more toxicity. No plans whatsoever to remove SPG from the game. 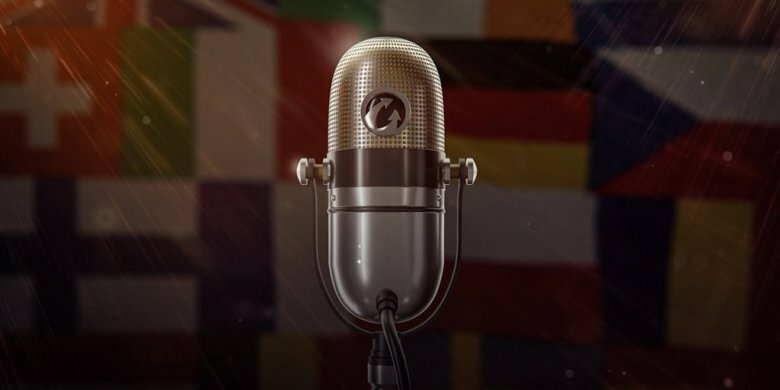 Wargaming is looking into further limiting SPG per game, no details yet. Wargaming is also looking into Swedish light vehicles, no further details. Wheeled vehicles will have a new mechanism that can retract some set of wheels, but not all of them. For example, the Panhard EBR two central set of wheels can be retracted or deployed. This will change how the vehicle manoeuvre. Vehicles with all wheels deployed will move faster but not turn as quickly. Wheeled vehicles will have worse firepower and view range when compared to light tanks, this will make it hard for them to survive a 1vs1. Speed and manoeuvrability will be their advantage if used correctly, they are meant for aggressive scouting. Wheeled vehicles will be harder to stop, they will still be able to move with some of the wheels knocked out of action, but won’t move as fast. The first wheeled vehicle won’t be premium. The new branch will most probably start from the B.C. 12t. Resume of Wheeled Vehicles: aggressive scout that is hard to stop. They will be tested on Sandbox first before they are released into the Live Server. Wargaming is worried that wheeled vehicles might be “pesky” or “annoying” in the battle. Flamethrower tanks are very unlikely to ever come to random battles. But they could, possibly, be introduced in a PvE mode for example. Frontline line mode will return soon, at the moment Wargaming is trying to further improve the performance on low-spec PC’s. They are also planning some changes in the economic side of the mode. Module to change garages won’t come soon but it’s confirmed to come. 3D customization is a high priority at the moment. Wargaming is close to having a possible solution for “Premium Ammunition”. It will bring great changes to HESH and hopefully fix the issues with the Type 5 Heavy. At the moment it’s pretty awful to play to be honest… gameplay just consists of “Drive forward, get golded to death”. And unless you’re willing to take the 15cm and spam gold, it does little to no damage in return. I think you misunderstood, the problem is not that the type5 suffers greatly from premium spam. The issue is that the type5 has a gun that instantly does more damage (alpha and dpm) if you load gold, on top of that it cannot be penetrated with standard ammo so it forces everyone for fire gold. The type5 is just the prime example of the biggest issues with the current state of the game! Players hate arty, players hate Heavy tanks, players hate medium tanks, players hate light tanks, and players hate tank destroyers. Some players probably love having something to hate in the game. I agree with you on this one. There are a lot of WWII armoured cars which could easily work on lower tiers. I wonder for example how that M8 Greyhound disabled a King Tiger if it wasn’t meant to fight against tanks? Of course their main job wasn’t to kill enemy tanks, but they were capable to do so in need. I hope this brings Superheavy and other problematic armour rebalance and brings back more weakspots too othervise it will just change the problem to something else. No, the real issue is that wheeled vehicles won’t drive like tanks and confuse the hell out of everybody, if they model them like WT and AW. Low tiers are hard enough to learn without having to deal with a new control scheme to boot. But regardless, doctrine in the 30s and 40s was that ACs weren’t meant to fight tanks and they were armed accordingly. Even modern wheeled vehicles with 105mm guns like the Stryker MGS – if you’re fighting a tank with it, you’ve messed up. “There are plans to introduce new “perks” of having a Premium Account and they might come very soon.” – removal of -25% RNG, better aim time and dpm, free repairs? I hope those “perks” dont put free to play players in disadvantage in battle. Of course not. Its not “Pay To Win Premium Account”… These new “perks” would be things like, renaming your crew members for free or silver, move equipment without having to pay 10 gold, retrain crews, etc. Not saying that all these are going to be implemented, but I can assure you it’s not something that will give a Premium Account owner better in game performance, etc. No, that is just retarded. Why?? For random plebs, playing this mode with credit booster would amount roughly the same payout as playing random battles… I hope they dont nerf it cause that would be the killing blow for me. It was a fun mode, but if you get less credits then random then whats the point? Most of the economic structure will remain the same. The part of the economy will be effected is the prestige. It won’t be an one month event anymore so that will get changed. Great. Having screwed up the mission and store, the UI bots from Wargaming will mess with the rest of the functioning UI now. What’s next? In battle HUD rework so that you can’t switch ammo or use consumables any more? •Wargaming is close to having a possible solution for “Premium Ammunition”. It will bring great changes to HESH and hopefully fix the issues with the Type 5 Heavy. I HAVE HAD IT WITH WARGAMING HESH ISNT THE PROBLEM ITS FINE LEAVE IT ALONE APCR AND HEAT ARE THE PROBLEM NERF THE DAMAGE AND CALL IT A DAY . SO TIRED OF THEM MESSING WITH STUFF THAT IS FINE IE HESH. TYPE 5 PREMIUM AMMO YES IT NEEDS TO CHANGE. Hope all is well and Times are good for all my friends and fellow Tankers. World of Tanks is a Money Making Monster and needs to be looked at as such. We are just customers in this Massive Machine we call World of Tanks. Testing and Giving our feedback is going to be the Best way to make changes to said game. Raging and getting Mad will not help , but will give us a Heart Attack. No need….. just keep sending Feedback and use your spending Dollars as a weapon. Peace and God Bless to my Tankers….